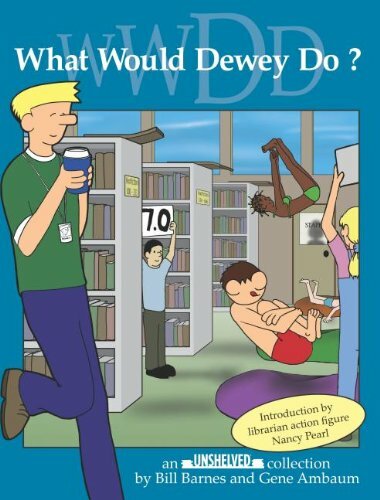 What Would Dewey Do? : An Unshelved Collection by Overdue Media at Translate This Website. MPN: illustrations. Hurry! Limited time offer. Offer valid only while supplies last. Dewey and his fellow librarians confront the FBI, psychic fairs, poetry slams, crashed hard drives, identity theft, and of course each other. Dewey and his fellow librarians confront the FBI, psychic fairs, poetry slams, crashed hard drives, identity theft, and of course each other. Features introduction by librarian, bestselling author, and action figure model Nancy Pearl plus pages of never-before-published comics. If you have any questions about this product by Overdue Media, contact us by completing and submitting the form below. If you are looking for a specif part number, please include it with your message.